Sometimes getting my two youngest boys to lay still and fall asleep at bed time is like pulling teeth. But then again, sometimes the tooth is ripe for the pulling. A father has the pleasure of filling so many roles in the life of his children through the years. Role model, leader, teacher, coach, hero, confidant, counselor, journeyman, dentist. Yes…you read that right. I said dentist. It’s been awhile since I was a dentist here at home, not since SD was young enough to be losing teeth as a toddler. Now that NE is 5, we’re in the losing teeth stage again, and the need for emergency dental work pops up now and then. It’s been so long since we’ve had loose teeth up in here, I was wondering if my skills would still be good enough to do the job. The trick is using the right tool for the job. Yes, I would have preferred the needle-nose pliers, but I have a 5 year old and a 3 year old who love “fixing” things…and apparently toy tools are not good for fixing things anymore…daddy’s tools are never where they should be when daddy needs them. 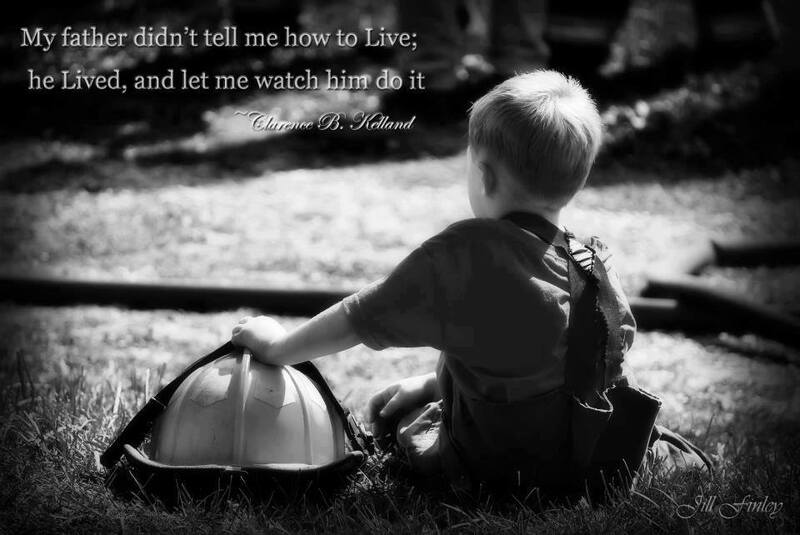 So, we remember the first rule of firefighting…and fatherhood. Adapt and overcome. Lo and behold, regular pliers will do the trick in a pinch. 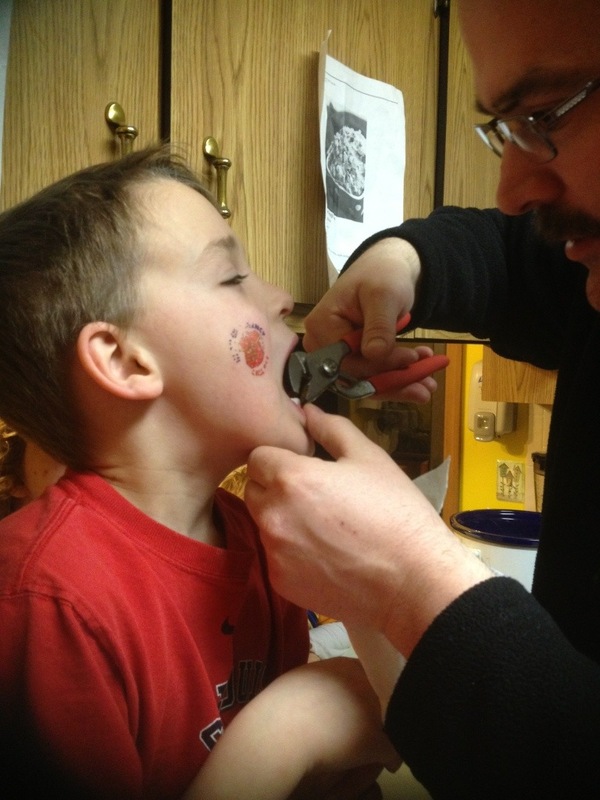 Yes, you were a bit apprehensive about this procedure. Can’t say I blame you. But when I whispered two words in your ear, your mouth opened right up. Two words you say? Ice & Cream. 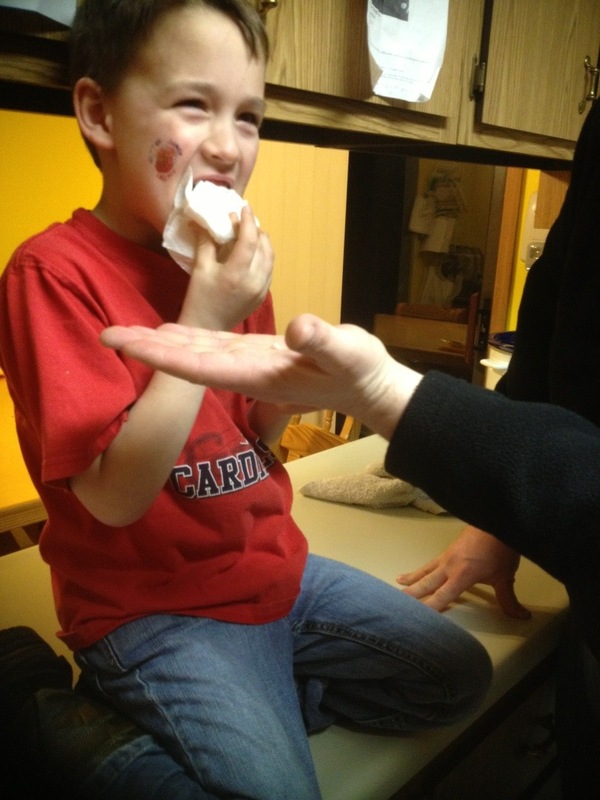 Nothing like bribing a 5 year old with ice cream. Yes. That’s a tooth in my hand. It came out much easier than SD’s did eight years ago…but then again, I had needle nose pliers back in the day. Quite the brave young man you’re becoming buddy…you were so nervous and anxious today about it falling out and losing it…I just couldn’t help but offer to be the fixer. I like being the fixer. Even more, I love watching you step out of your comfort zone. And I love being here to walk you through these steps in your life. I look forward to many more years of filling various roles for you as you become a man. If walking you through the next stage of your life is like pulling teeth, I’m gonna love it!